It is an auto immune disorder with high rate of damage. Osteoarthritis is a disease of deteriorating nature; where the cartilage covering the end of bones in a joint degrades that causes pain, inflammation or even progress to immobility. In worst case the joint may broke and the splinters of bone float in the cavity around the joint. It if not treated timely become chronic. It is characterized by intense pain in the joints followed by swelling. Rheumatoid osteoarthritis is a long-term disease that affects the joints. The joints mostly affected are knees, lower back, hips, cervical spine, fingers and neck.Larger joints like shoulder can also be affected. It affects 27 million people in US alone. 0.5 to 1% adult in developed world. Total death count is 30,000.Onset is more frequently in middle age and older people. While the cause of rheumatoid arthritis is not clear, it is believed to be due to attack of immune system on the joints. It attacks the protein factors present on joint. It is type 3 hypersensitive reaction. In a healthy joint, a tissue is present that allows friction free movement. In this disease, the smooth surface of cartilage becomes rough and it eventually wears down; it might even lead to destruction of bones. The cartilage can become rough due to old age, overusing, excessive load, genetic abnormalities, bone deformation and joint injuries. Pain and stiffness worsen with time. Most commonly wrist and hand are involved.Inflamation of synovial membrane is also common. Incidence of this disease is greatly increased in obese people; your weight may cause additional stress on weight bearing joints and the fat tissue also protein that causes inflammation of joints. If u keep having joint injuries or ever had that is healed you are at greater risk of osteoarthritis. At rest or still, your joint will feel stiff and then it abrades once you come in action. The wearing a way of joint is common in old age. You feel pain when you are moving the joints or at the end of the day; the pain becomes more severe as the osteoarthritis progresses.The pain is due to splinters of bone and friction that causes membrane to swell. Due to bone friction your bones may produce a squeaking sound, when you move them. This sound is due to loss of lubrication. You may experience difficulty during usage of joint; it might be less movable. It loses the synovial fluid in joints. In this disease the joints give a warm sensation. After you observe these symptoms in yourself, you may want to check with your doctor for rheumatoid osteoarthritis .The doctor will do some testing. Testing is done in order to rule out other possible types of arthritis. All the possible outcomes would be analyzed .Then you take an X- ray scan which may shows if you have any spurs or if you have any calcium deposits around your joints. Uric acid level is also monitored in your body. These tests will confirm either the joint pain or swelling is due to rheumatoid osteoarthritis or indication of some other disease. Differential diagnosis is done with systemic lupus erythematosus, psoriatic arthritis, fibromyalgia. An antigen testing is also done. With age mesenchymal cell is reduced decreasing the healing process. This makes the elastic tissues like cartilage lose their flexibility. Stem cells have the ability to grow and differentiate into various tissues. They are totipotent cells.They can form various cells ,tissues or even cartilages and can help manage the symptoms of osteoarthritis. Stem cells are injected into the body by infections. After they are administrated into the body they move into joints. Stem cells are obtained from other body parts like umbilical cord. Their purpose is to fight off inflammation reduce pain, and to increase the lubrication of joint by producing synovial fluid that decreases the friction between joints. Patient experience improvements typically soon after stem cells injection are aped to. Affected area and recovery is visible. It is mainly used to treat neurovegetative disease. The majority of patients who have used stem cell therapy find themselves in better state, if not completely cured. MSS are cultured for treatment of Stem Cell Therapy Rheumatoid Osteoarthritis. 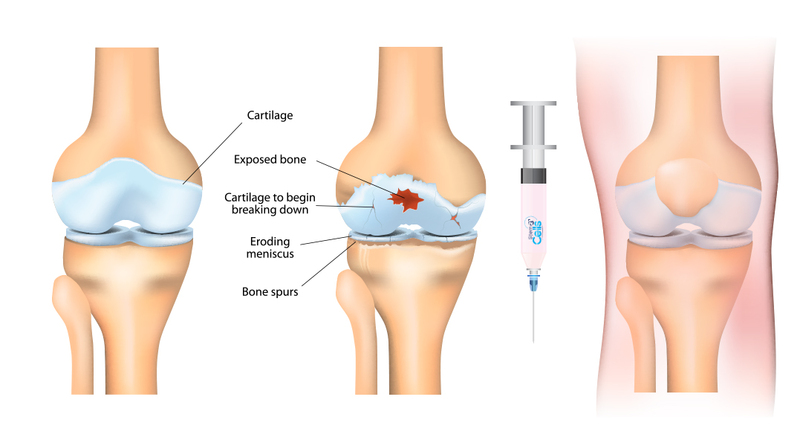 Despites that fact that stem cell therapy is yes for many years it is new in field of orthopedics. Its cost varies from person to person depending on needs. It costs almost 5000$. Would you like Treatment for Osteoarthritis?